Tekla Klebetnica will be busy playing their beautiful music at various venues in Texas for almost a month. Their Texas tour will include performances in Houston, Austin, College Station, Chappell Hill, Anderson, Floresville and Bremond including a special Polish Day performance at the State Capitol as guests of Governor Perry. They will also play and sing at Catholic Mass for Our Lady of Czestochowa in Houston, St. Mary in Bremond and St. Stanislaus in Anderson. The “Tekla Klebetnica” band began their career in 2006, when Zygmunt and Ania met playing Polish Highlander music together. Over time, they were interested in looking into other folk music including traditional Polish, Slovakian, Hungarian, Romanian and Gypsy melodies performed in their own arrangements. Each of the four musicians was connected to music since childhood from the ages of 5 and 6 years old. Later, Ania and Marcin studied music at the Music Academy in Katowice and Marek studied at the Music Academy in Krakow. Zygmunt is the only one of the group that is self-taught. 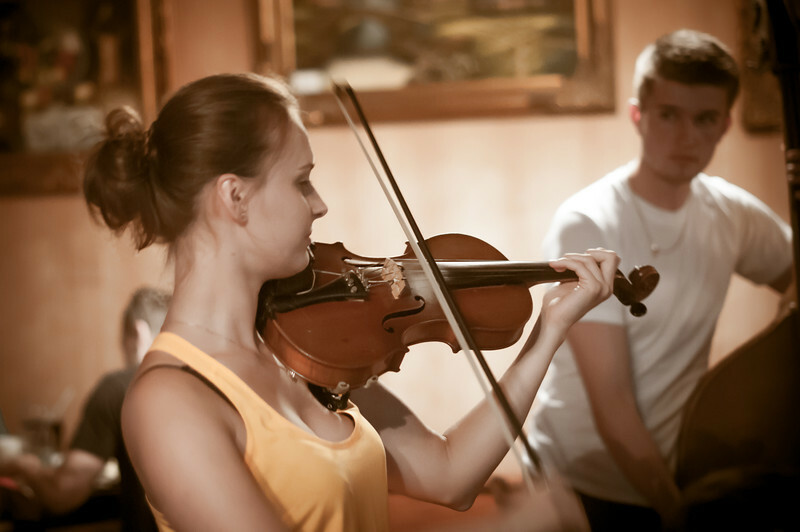 In addition, Ania and Marcin grew up with traditional Polish folk music, Marek with Slovakian and Gypsy music and Zygmunt was a member of an orchestra and they each draw inspiration from their roots. They have played all over Europe including countries such as Ireland, Germany, Slovakia, Czech Republic, Italy, Georgia and Uzbekistan. They have played in many festivals including Taca Dancer, Musicastrada, Sharq Taronalari, Art Gen, The World of Accordion and many others. One of their musical highlights was performing with world gypsy musician and European Star, Maestro Roby Lakatos and his ensemble. 12:00 noon Play in the Texas Capitol in Austin (1 hour and 15 minutes ) Wawel is invited to dance also. Below is a slideshow of photos of some of last years Tekla Klebetnica’s Texas performances.